Dragon Ball GT is the final anime series in the Dragon Ball franchise and a sequel show to the Dragon Ball Z anime series. 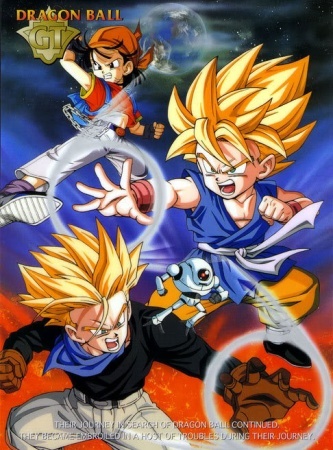 Unlike the first two series, it is not based on the manga series written by Akira Toriyama. However, the same characters are used. Dragon Ball GT is the final anime series in the Dragon Ball franchise and a sequel show to the Dragon Ball Z anime series. Unlike the first two series, it is not based on the Dragon Ball manga series written by Akira Toriyama. However, the same characters are used. This tag should be used in questions regarding the Dragon Ball GT anime. Use dragon-ball for any other works. How involved was Akira Toriyama in the production of Dragon Ball GT?